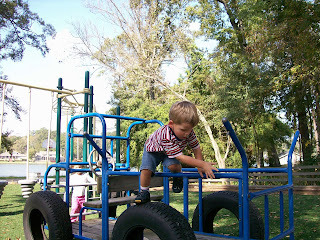 The car at our playground is a kids favorite. 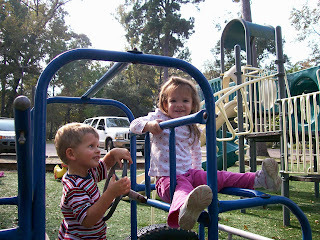 Dawson and his friend, Mackenzie, had a great time playing on it the other day. 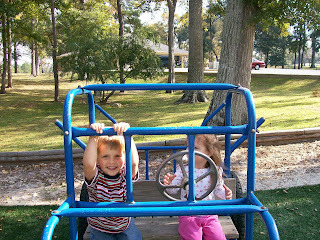 Mackenzie in the driver seat and Dawson happily riding along. I think this is such a cute picture! Mackenzie is happy to be climbing all over the car, and Dawson is just thrilled to be there with her. Climbing out of the back of the car.